Bayero University, Kano, BUK school fees schedule for the 2018/2019 academic session newly admitted and returning students. 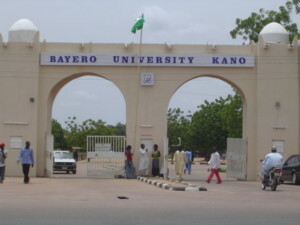 Authorities of the Bayero University, Kano (BUK) have released the amount payable as school fees by Nigerian and Non-Nigerian undergraduate students of the institution for the 2018/2019 academic session. RECOMMENDED: BUK Academic Calendar for 2018/2019 Academic Session and BUK Registration Exercise for 2018/2019 New & Returning Students. BUK School Fees for Fresh Students. BUK School Fees for Returning Students. BUK School Fees for Non-Nigerian Students.